As each new year begins, businesses brace themselves for the next big trends that will emerge. Often these trends have already been brewing for a while, but they begin to dominate as a year progresses. Recently, The Washington Post gathered opinions from experts into one insightful article that detailed trends for retail, grocery outlets, and restaurants. 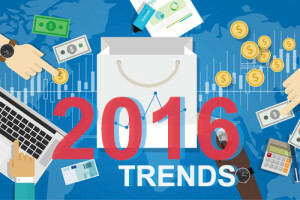 Here are a few trends that are specific to the retail industry. For years, consumers have heard that mobile payments are the future of retail. However, adoption has been slow as customers continue to stay with traditional credit card swiping methods. The switch to chip-based cars has brought a slower processing time, though, and experts speculate that this may drive buyers to use smartwatch- and smartphone-enabled payments. Instead of inserting a card in a slot and waiting 20 to 30 seconds for permission to withdraw it, customers may soon feel more comfortable with mobile payments, which are quicker and eliminate the need to carry a credit card. With both Apple and Android focusing on ensuring their payments are accepted in more stores, customers will begin to grow more comfortable using the technology. Uber’s surge pricing has shown businesses that prices can adjust upward based on demand. As ecommerce-based retailers perfect technology that allows prices to change on the fly, brick-and-mortar stores will join in, as well. Stores will begin to investigate technology that allows posted prices to be changed by a computer rather than being manually changed, allowing for much greater flexibility in brick and mortar pricing. This will allow retailers to monitor competitor pricing using the latest price-comparison tools, and actually be able to respond accordingly. Customers have begun seeing the value in local retailers such as boutiques, which can sell one-of-a-kind products not found anywhere else. With large online businesses luring customers away, unique stores can gain an edge over the competition. In 2016, customers will be more likely to drive to a local store rather than purchase online if those stores offer something that can’t be found online. Even small online retailers can gain an advantage over the competition by offering unique items customers can’t find with bigger brands. Technology has made it easier than ever for businesses to compete. In 2016, local brands will begin to keep up with online retailers by providing convenient, personalized service at prices that are lowest in the market. Using tools like PriceManager, retailers can ensure their prices remain competitive at all times.